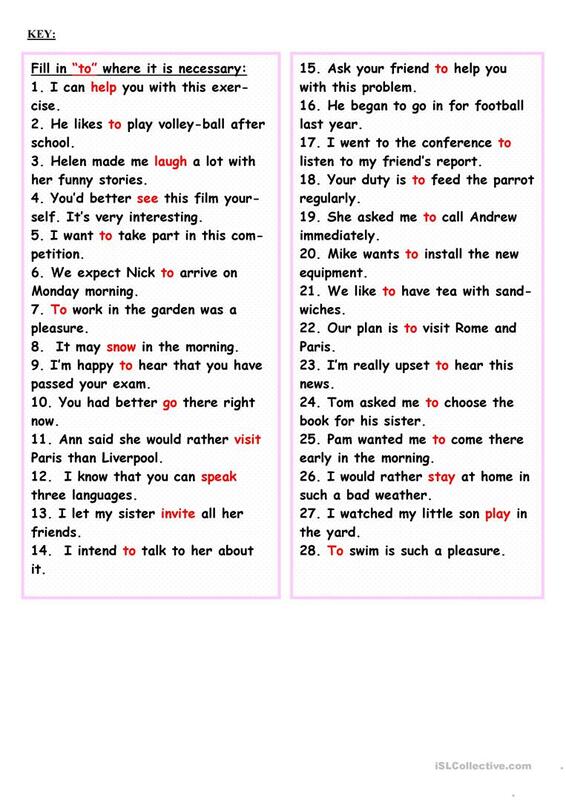 Twenty-eight sentences for practicing the Infinitive. key is included. Thank you!!!! The above printable, downloadable handout was created for high school students, elementary school students and adults at Elementary (A1), Pre-intermediate (A2), Intermediate (B1) and Upper-intermediate (B2) level. It is a useful material for revising Infinitive: Bare infinitive in English, and is excellent for strengthening your groups' Speaking and Reading skills. You will find the solution at the end of the worksheet.